Pour pudding and Jell-o into a small pan and add 2 cups water. Stir well over medium heat until it boils. Cover and refrigerate until ready to go. 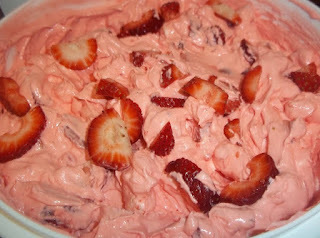 * Love the mix of the strawberries can use any berry flavored jello with this and also use sugar free.